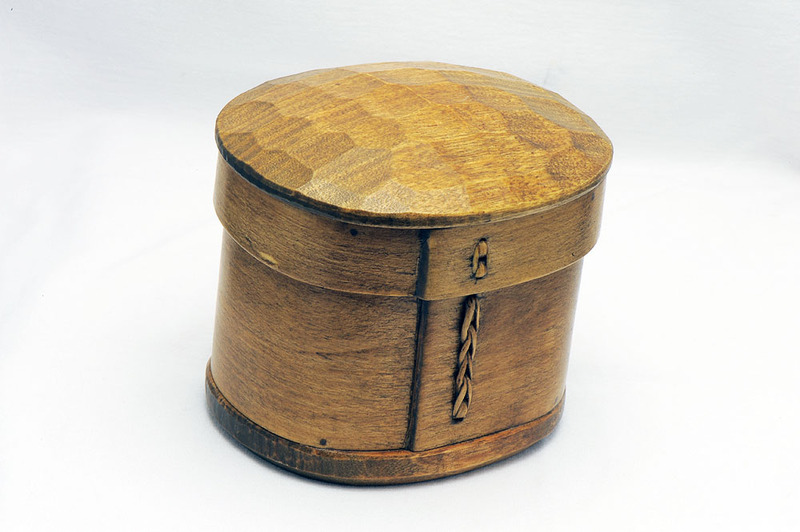 The production is limited to 20 Nordic Seasons pieces in total, of which 5 pieces are the Autumn model. 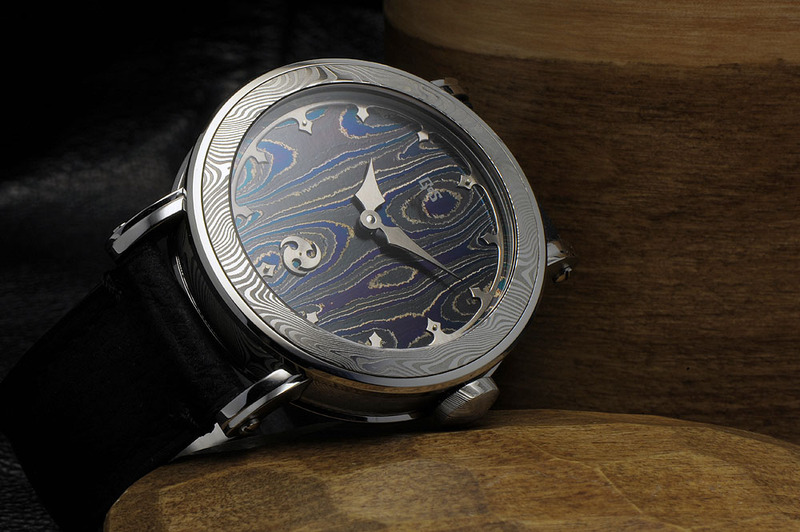 The dial for the Autumn is the traditional woodgrain pattern tempered to receive a blue/purple color. The coloring will be brought from the autumn colors of the Lapland sky. 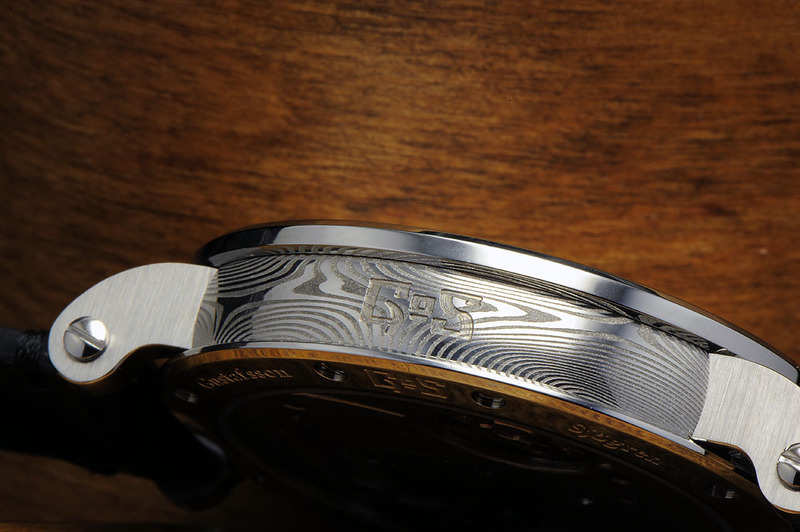 This watch is equipped with a GoS modified 6498 with a damascus steel bridge. 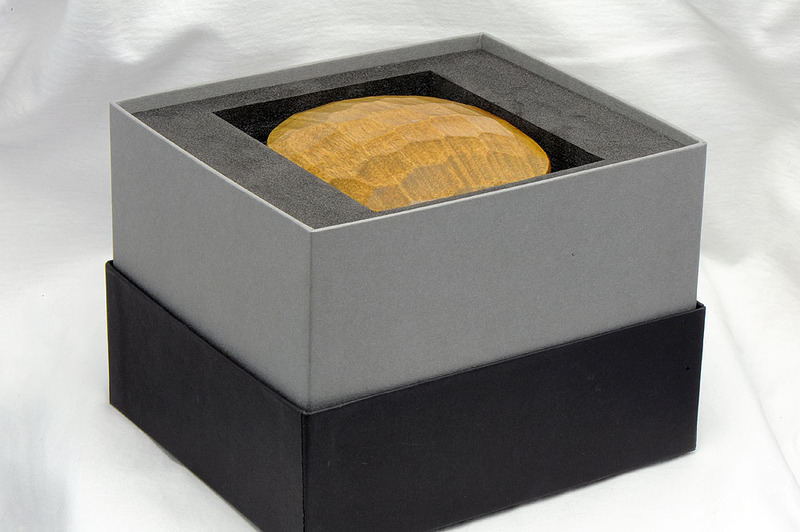 This is the first series to feature hands made in gold. 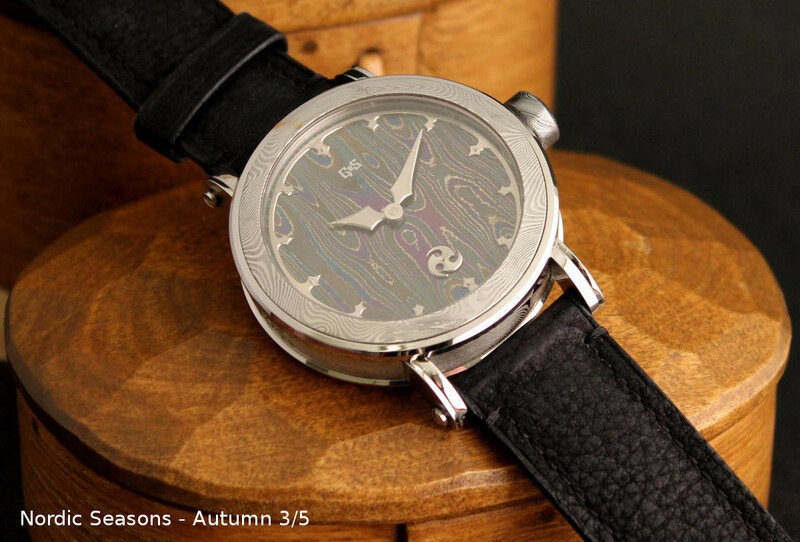 We selected white gold to match the blue/purple dial of the Autumn model. 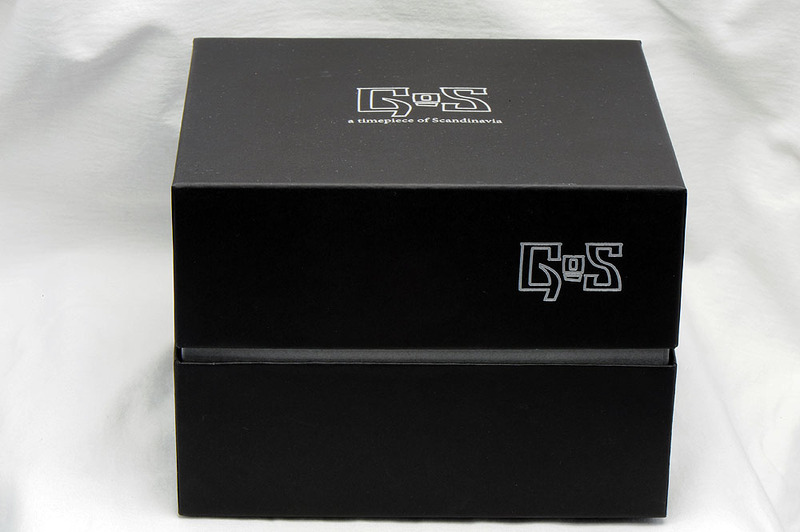 The oversize GoS crown is made in stainless extra finegrained damascus steel. The watch strap is made in thick but very soft black nubuck leather and equipped with a stainless steel GoS buckle. 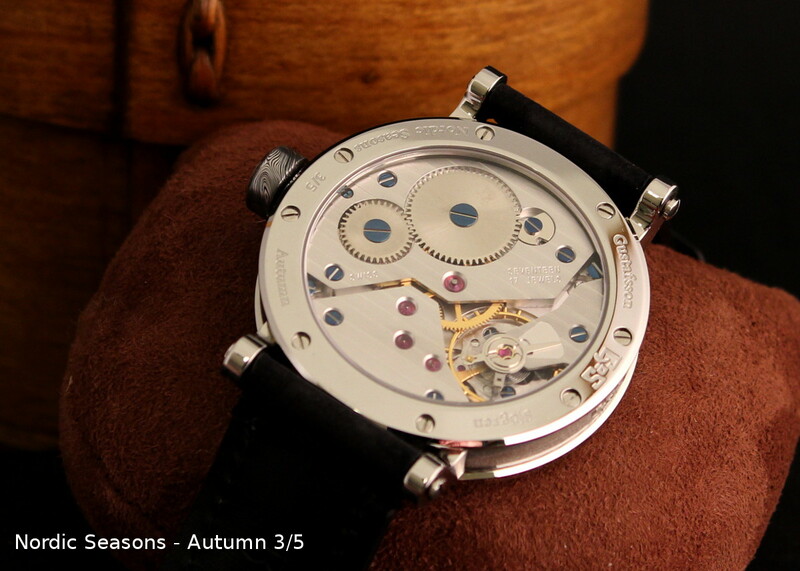 Movement refinement: Improved to chronometre grade by the swiss company Soprod. 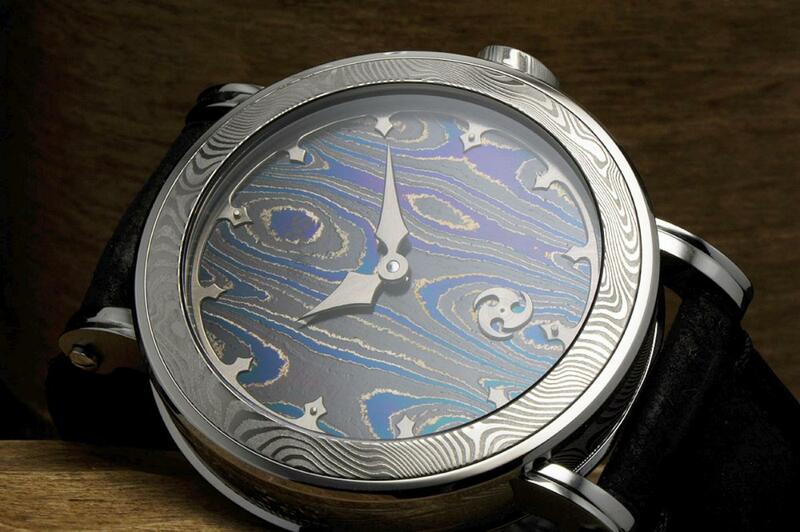 Movement modification: 3/4 bridge made in solid handforged damascus steel. Limitation: 4pcs, available as an option to the Nordic Season series. This watch on the photos has been sold but watches 3/5 - 5/5 are available for pre-order. They will be similar to Autumn 2/5 but all unique pieces.